The emergence of participatory, on-demand and interactive media is changing the media production landscape. 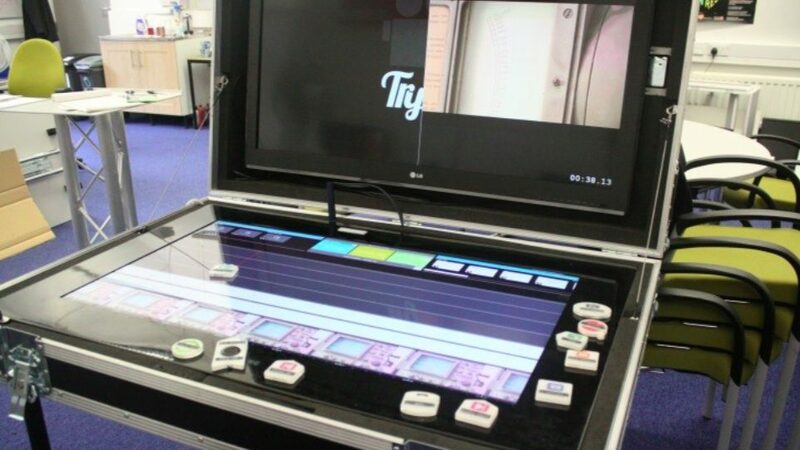 Producing interactive media is often more complex than creating traditional linear films, resulting in increased pressure for production teams. In this paper we explore what implications this has for cast and crew who participate in the production of such new media. We explore how collaborative technologies can support creative practitioners, within these challenging settings. We present TryFilm, a collaborative editing system, designed by the authors and deployed during an interactive film shoot by a small film company featuring a cast of early career actors.